1) What makes a great post? 2) When you are out visiting blogs, what makes you stop and read a post? 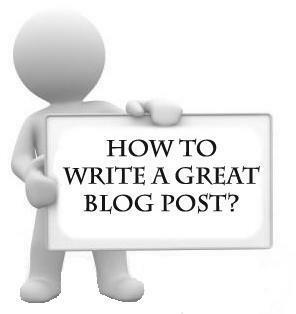 3) How do you find great posts on a blog? After thinking about these questions, apply the things that make posts great to your posting. 1) Create a great first impression, and choose a catchy title. 2) Use media to enhance you post. Try to include visual, audio, presentations or other web 2.0 tools to add media to your post. 3) Write about topics that are interesting, and topics that you are passionate about. Your blog posts will be more enjoyable to read when you write about things you care about. 4) Do not copy/paste from somewhere else, take time to write a well structured post that has been proofread and spell checked thoroughly. 5) Add links to other websites to encourage your readers to continue exploring and learning about the topics you have written about. 6) Tags and categorise your post with at least half a dozen words or phrases to help reference and organise your posts. It’s good to know but its kinda scary because someone can just take my posts/photos from when i was like 11.